A.R. 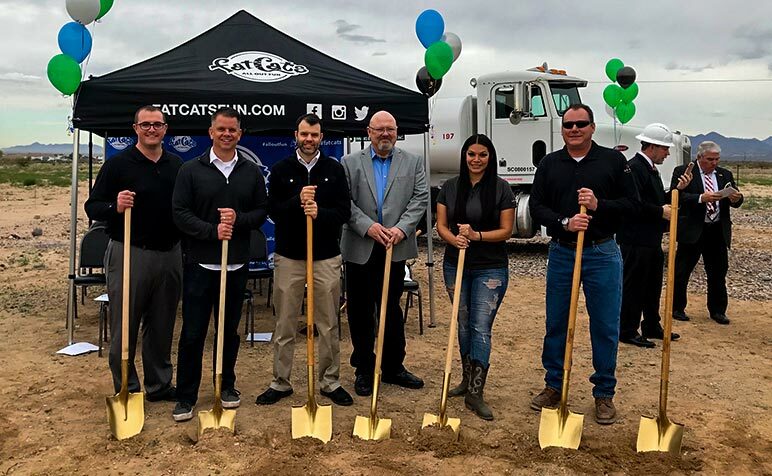 Mays Construction broke ground on the new FatCats in Mesa. Located next to the Longbow Marketplace, where A.R. Mays also built the Sprouts Farmers Market, FatCats will begin construction soon and is scheduled to be completed in the fall.